On a drive around a nearby lake recently it became apparent that another ice-fishing season is concluding. There were still lots of anglers on the ice where the ice was safe, but wind was making open water areas larger by the minute. I caught myself looking forward to warmer temperatures and open water fishing. My thoughts turned to past fishing trips and memorable fish catches. I also caught my thoughts turning to past fishing trips where the catches weren’t so memorable, but the trip still was. Those trips were memorable because of the people and events of the trip. One memorable day-on-the-water was with the late Otis “Toad” Smith. Toad was a legendary outdoorsman. When Toad was outdoors, something unusual usually happened, and it was usually self-induced. Toad liked to fish for anything, but he really liked to fish for catfish. I have a fond memory of a summer day that Toad and I spent floating the Little Sioux River in western Iowa in search of catfish. During the morning, we caught and kept a few cats. Toad always liked to pull up to shore during the day and prepare a shorelunch. During shorelunch on that day Toad shared one of his more interesting and unique life-stories with me. This tale of Toad has been told and re-told, but it’s only an old story if you’ve already heard it: Many haven’t. Toad had had heart surgery at one point in his life. The doctor told Toad that he needed to have a piece of his heart removed. Toad asked the doctor to save that piece of his heart: He had plans for it. Toad recovered from the surgery and in a few months he was ready to get after catfish again. The night before his first catfish trip after the surgery, Toad soaked that piece of his heart in some fish-attractant. On his first cast, that piece of his heart was on his hook, and shortly after, a three pound channel cat ate it. Toad caught and released it and declared it a world record: It was the biggest catfish ever caught on a piece of Toad’s heart. Toad promised that was a true story, and I believed him. That was the last time Toad and I fished together, and I cherish the memory more than any fish catch before or after. Another fishing friend whose memory accompanies many of us on fishing trips is that of The Fishing Professor Jim McDonnell. We could never get Mac to hurry. I remember him telling me time and time again, “Bobby, you’ve got to stop and smell the roses”. Although roses make me sneeze, I now find myself slowing down a bit to enjoy the entire experience. Mac was right: We need to absorb our time in the outdoors. 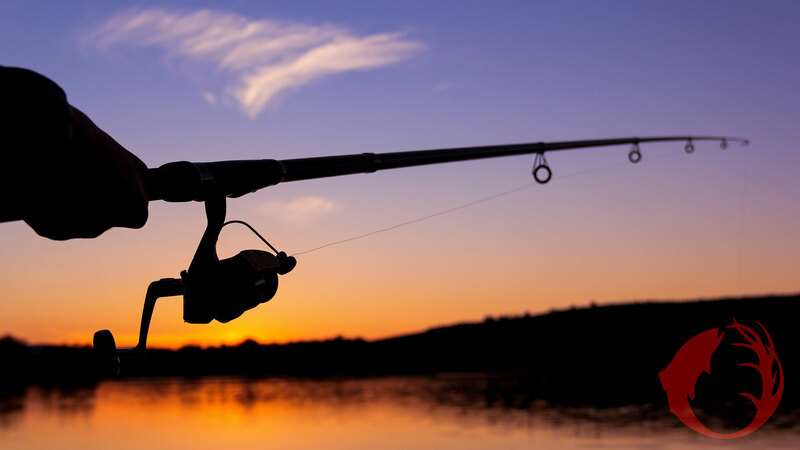 A sunset can be just as memorable as a fish catch. I recall a day on Kabetogama Lake when my fishing friends and I stopped fishing to watch a beaver doing what beavers do. As the beaver moved on, we noticed a family of otters on the shoreline, and we spent more time not fishing but watching the otters. Otters are more interesting than beavers. I find myself watching wildlife while fishing more nowadays, and I’m enjoying my fishing more nowadays because of that. I find myself watching sunrises and sunsets with more interest. Sunrises are more inspiring, but I see more sunsets. As another open water fishing season approaches, I’m going to get after the fish with as much effort as ever, but I’m also going to make more of an effort to relish the entire experience. I’ve learned that going fishing is much more than just catching fish. But catching fish sure does add to the experience.